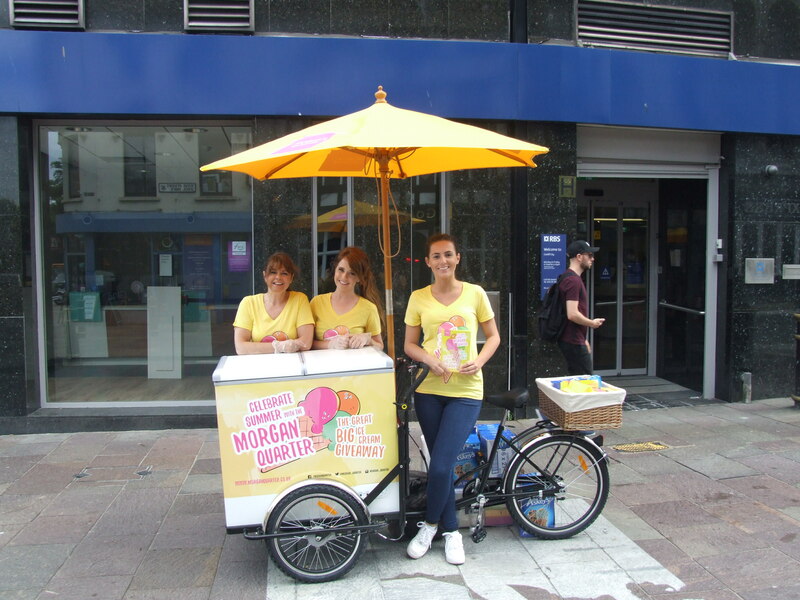 Following a rebrand, the Morgan Quarter was looking to increase public awareness of the unique shops & cafes they have to offer, with the ultimate goal of driving footfall to the arcades. They approached eventeem for a staffing solution, but also needed a hook to increase consumer engagement. 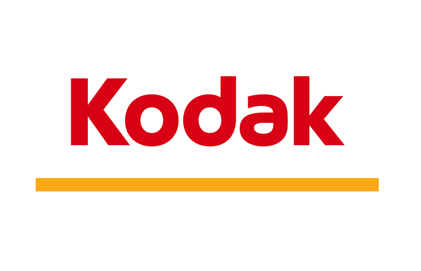 In response, we provided a team of three brand ambassadors and one event manager who engaged with consumers and encouraged participation in a competition which took footfall into the arcades to enter. 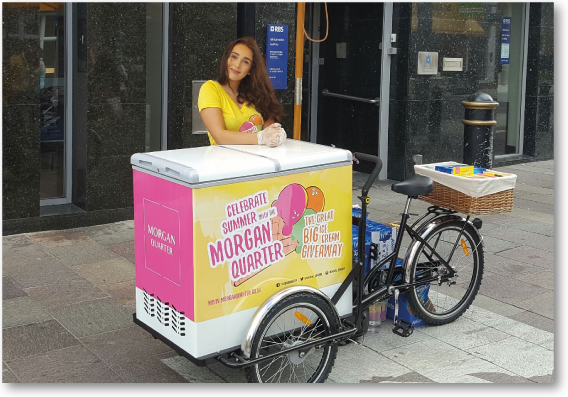 To entice interaction, we provided a fully branded sampling bike, which was used to distribute perfectly chilled free ice-creams, facilitating both face-to-face and social engagement. Although we are a national staffing agency, we are particularly proud to provide promotional staff in Cardiff and across Wales to a number of local businesses.